The President of Turkmenistan Gurbanguly Berdimuhamedov has signed a decree "On the reception into the citizenship of Turkmenistan”, the "Neutral Turkmenistan" newspaper wrote Sept. 25. In accordance with the document, 735 people permanently residing in Turkmenistan, who do not have citizenship and are representatives of different nationalities, have become citizens of the country. The relevant agencies have been instructed to facilitate the employment and housing of new citizens of Turkmenistan, if necessary. 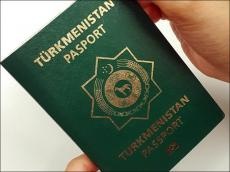 The Ministry of Foreign Affairs, the Ministry of Internal Affairs and the State Migration Service of Turkmenistan have also been instructed to continue work on the registration of documents of stateless persons who have applied for citizenship of Turkmenistan, with subsequent submission of relevant proposals. In the period between 2011 and 2017, 8,145 people were admitted to the citizenship of Turkmenistan on the grounds of relevant decrees of the head of state.